Myth #1: Mints and gum stop bad breath. Do people offer you breath mints and gum? That’s a clue. But do they help your bad breath? No. That’s a myth. They temporarily cover it up, but not for long. They make it worse than ever because the sugar in the mints and gum actually feed the bacteria that give you bad breath making the problem worse over time. Myth #2: Bad breath comes from the digestive system. Lots of people will tell you that if you eat unhealthy, fast food, your breath will reek. That’s only partly true. Most of the bad-breath bacteria don’t come from your gut. They come from the bacteria on your tongue and throat and from bacteria between your teeth. They create that sulfur smell that is so offensive. Lo-carb diets specializing in lots of animal-based products can tend to create bad breath. Myth #3: Regular bacteria cause bad breath. You can kill surface bacteria with regular mouthwash and tooth brushing, but they don’t do anything for the anaerobic bacteria that cause bad breath. You need something a lot more systemic as well as surface to take care of those critters. Myth #4: A tongue scraper helps with bad breath. The problem bacteria reside below the surface of the tongue. No amount of tongue brushing with whatever magical tongue scraper will keep the anaerobic bacteria from releasing their sulfur when you open your mouth. Myth #5: The alcohol in your mouthwash helps kill odor-causing bacteria. On the surface maybe, and for a few moments at best. But the nasty anaerobia bacteria under the surface will quickly overtake their territory and start pumping out their stench within only a few minutes of using your mouthwash. Myth #6: Eating onions and garlic causes bad breath. While onions and garlic give off similar sulfur-like aromas, don’t be confused into thinking that they are the only things that cause bad breath. They are minor compared with all the critters that live constantly in your mouth putting out their sulfur stench into the atmosphere. Bad breath comes from anaerobic volatile sulfur-producing bacteria, in plain English that means germs that give off a sulfur (rotten-egg-like) smell. Dry mouth or thicker saliva (beware of medications with dry-mouth side effects like anti-histamines, blood pressure meds, and anti-depressants). Mouthwashes containing alcohol and sodium lauryl sulfate. There are a lot of effective but expensive products on the market with lots of elaborate systems for arresting bad breath deep down, at the root of the problem. But in my experience with numerous clients, nothing works as well as essential oils and simple dental hygiene (brushing and flossing). A great diet low in sugars and empty starches helps a lot as well. A single inexpensive bottle of your favorite essential oil will last you a long, long time because you’re only taking a drop or a trace at a time. One of our 10 ml bottles contains well over 200 drops of oil. There are two avenues for getting essential oils working on your bad breath—ingesting the oils in capsules and drinking water, and using them in your mouth for rinses, gum treatments, in a water pick, etc. Taking essential oil capsules (see instructions here) will help tremendously with bad breath in a completely from-the-inside-out, systemic way. They decrease the overall bad bacteria in the body without harming the good bacteria. To help you battle bad breath, you’re going to want to take probiotic supplements or better still eat fermented foods to keep the good bacteria from allowing the bad bacteria to take over. The second best thing is to take a drop or two of an essential oil in all your drinking water. This isn’t as powerful as the capsules, but it helps systemically. Essential oils are highly penetrating. They go after the anaerobic bacteria that hide below the surface of the tongue. Trick #1: A drop on your toothbrush. Experiment with various oils. Try Spearmint, Peppermint, Clove, Tea Tree, Lemon. These may be too strong for you, but if you are careful and learn to flick a little of the oil away so it’s not so strong, this may be the easiest thing for you. It definitely disinfects your tooth brush. Trick #2: Use essential oils in a home-made tooth powder. Use the recipe here to create clove or peppermint tooth powder. It’s much safer than regular toothpaste, and tastes great. It’s wonderful for sensitive teeth. Trick #3: The Lick Trick. Put a trace of Tea Tree or another oil on the back of your hand and lick it off. Distribute it around your mouth and mix it with saliva and then swallow. You don’t need much to do an amazing job at killing the anaerobic bacteria that produce bad breath. This is also a great trick for getting rid of the yeasty white deposits that build up on your tongue when you eat too many sweets. Trick #4: Gum massage. After brushing your teeth, take a trace of your favorite essential oil on your finger and massage your gums. This works like the lick trick, but targets the gums and can reduce pain. Try Clove or Peppermint oil for pain. This works really well for mouth sores of all kinds. Trick #5: Water pulling. You’ll read on the Internet about oil pulling for fresher breath and oral hygiene. Those who have tested this against simple “water pulling,” or sucking water between your teeth to dislodge bits of trapped foods, is just as effective as using oil. It’s also a lot simpler, and if you add a drop of your favorite flavorful essential oil, it has the antimicrobial effect. It’s also a lot simpler, and if you add a drop of your favorite flavorful essential oil, it has the antimicrobial effect. Then you merely swallow the aromatic mixture. It takes no more time than using an expensive mouthwash and costs a lot less. 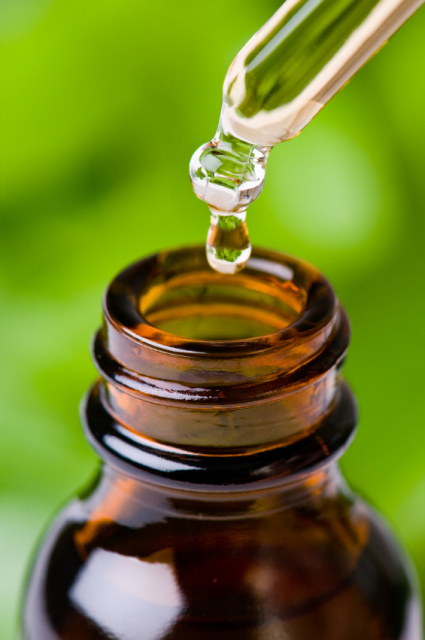 CAUTION: Never swallow a whole drop of essential oil straight without mixing it first with saliva or a carrier oil. Many of them are too strong and will burn your mouth. If you’re using the more powerful oils like cinnamon, clove, thyme, or oregano, be sure to dilute them a lot before putting them into your mouth. A trace goes a long way. Don’t put these oils around your lips undiluted. They can burn your skin. You’ll read about using a tiny trace of an undiluted oil on a cold sore, but be extremely cautious. Less is often more and often works much better. Multiple applications of a diluted or safer oil is far better than one strong or unsafe application of an undiluted, strong oil. You can not only burn your skin or mouth but cause long-lasting allergic reactions by spreading around an undiluted oil like oregano on your skin or mouth. These oils work extremely well when you live by the safety rules.